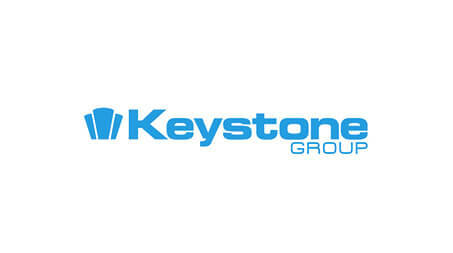 The Keystone Group – Keystone Lintels Ltd/IG Lintels Ltd in Cookstown Northern Ireland are the leading steel lintel manufacturer in the UK and Ireland. Offering a range of standard and custom made steel lintels from our site in Cookstown Northern Ireland & Swadlincote South Derbyshire. The Keystone Group is committed to the continual improvement of All Environmental Issues and the protection of the Environment. We can assure our customers, shareholders, employees, local residents, regulators and local authority of our continual commitment to Environmental improvements. Continuously improve our environmental performance and integrate recognized environmental best practice into our business operations with structured planning, implementation and management commitment. Measure our consumption of resources and improve the efficient use of those resources. Measure and analyze our production efficiencies. Improve our impact on the community with regard to noise, smell, dust, vibration etc. Measure and take action to reduce the carbon footprint of our business activities to meet our planned objectives and targets. Manage waste generated from our business operations according to the principles of reduction, re-use and recycling. Manage our business operations to significantly control and prevent pollution in line with legal legislation. Ensure environmental, including climate change, criteria are taken into account in the procurement of goods and services. Comply and document as a minimum with all relevant environmental legislation and any other legal requirement which may be relevant. Set clear objectives and targets which will be assessed through management review. Attain certification to ISO 14001 through rigorous monitoring and review of our performance. Provide our customers and regulatory bodies’ oversight and review of environmental policies and performance, and allocate resources for their effective direction and implementation. Set and monitor key objectives and targets for managing our environmental performance at least annually. Communicate internally and externally our environmental policy and performance on a regular basis, and encourage feedback. Communicate the importance of environmental issues to our people. Work together with customers, shareholders, employees, local residents, regulators and local authority to promote improved environmental performance. Promote appropriate consideration of sustainability and environmental issues in the services we provide to our customers. Review our environmental policy regularly. This statement represents our general position on environmental issues, and the policies and practices we will apply in conducting our business. Copyright © 2015 The Keystone Group. All rights reserved.